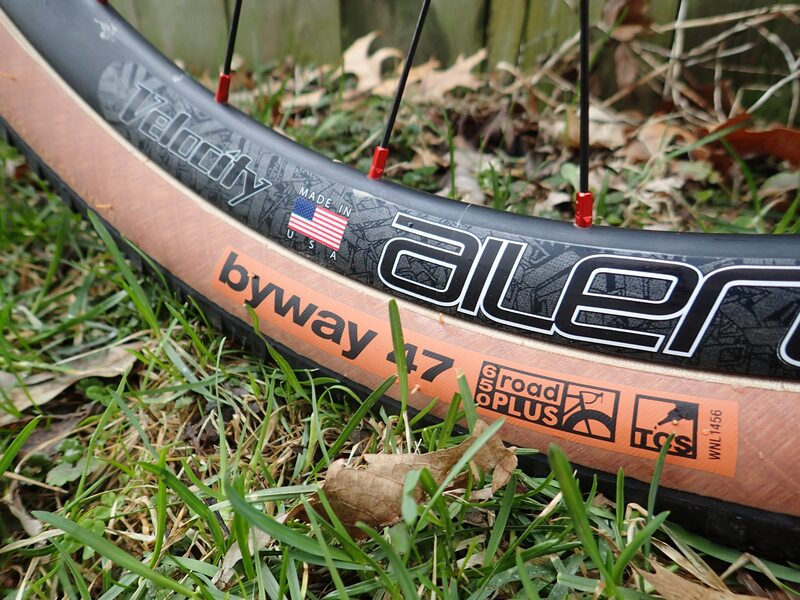 WTB Byway 650B X 47 Tires: Getting Rolling- by Guitar Ted WTB introduced its “Road Plus” concept a year ago with the Horizon 650B X 47mm tires which we reviewed here. The puffy, smooth treaded tire punched well above its weight on gravel, but it was a bit short on traction and lateral stability compared to some other 700c gravel tires. WTB realizes that the Horizon is for those who do mostly paved riding with occasional forays into gravel and dirt. So, they have been busy doing a tire design that is basically the foil to the Horizon. A tire that promises to excel in gravel and dirt, but doesn’t give up anything on paved surfaces. That design is now ready for your bicycles and has been dubbed the Byway. 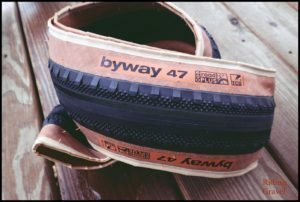 RidingGravel.com has had a set of Byway tires since the end of March for test and review. The Byway, which is available now, has just been introduced at Sea Otter. However; thanks to WTB, we were forwarded a set to try out at the end of March. Since then we have had some experiences with this tire which we can pass along here. Here are my first impressions of the tire, but first, a little bit of information on the tire itself. The Horizon and the new Byway share a lot of similar traits. You can review what we said about the Horizon’s technical features here. Briefly, the Horizon and the new Byway both have Dual DNA compounds, TCS Light casings, and the distinctive “skinwall” sidewalls. They are both tubeless compatible, of course, and both tires when mounted roughly mimic the same diameter of a 700c X 28mm-30mm wheel/tire combination. Obviously, the tread patterns are what differentiates these tires from each other. WTB states that the Byway tire is referred to as the “60/40” tire in their offices, meaning that it is the tire you ride 60% of the time on unpaved surfaces. The Horizon is seen as the tire you “could do some dirt or gravel on”, but is mostly a paved road tire. The Byway 47mm tires get a progressively more aggressive tread the further out from the center of the casing that you go. Installation, Measurements, and Tubeless Performance: I mounted the Byways on the same wheels used for the test of the Horizons. The Velocity Aileron/Velocity hubbed wheel set was obviously perfect for the set up with the Byway. The samples of the Byway I have weighed in at 531 grams /543 grams each so within acceptable variances, but definitely a bit heavier than a Horizon. I had no trouble mounting them up tubeless to the Velocity Ailerons. A little blast from my small air compressor with the valve core out was all it took. A typical tubeless mounting procedure there. Initially after installation the tires were aired up to 40psi and measured out at 46.5mm average width between the two. Now that has stretched out to right at 48mm for the rear tire and 47.13mm for the front. 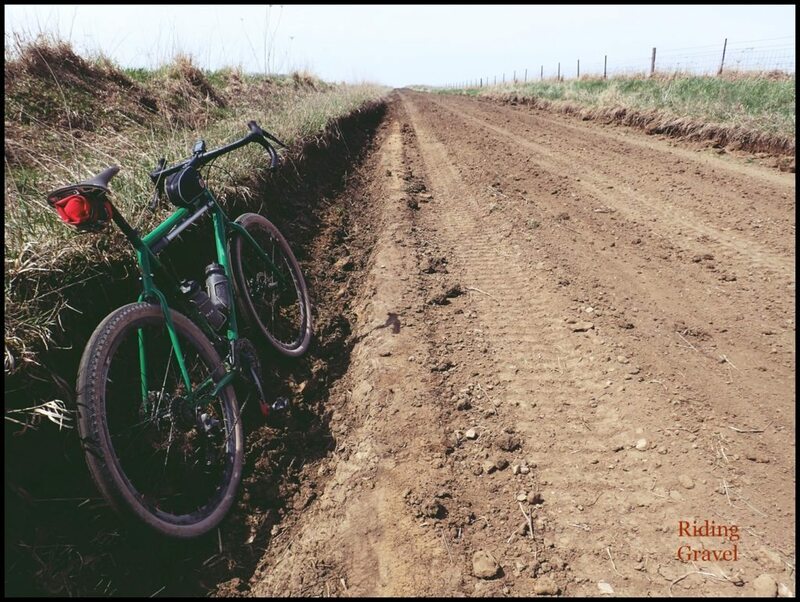 The volume of the Byway allows for a lower pressure to be run without being a detriment to rolling resistance. I ran sub 40psi front and right at 40psi for the rear tire since I started riding them. I likely could explore a lower pressure, and I probably will later on into this review. Ride Impressions: The same smooth, almost “levitating on air” feeling I had with the Horizons on pavement is present with the Byways. The fast spin up, the damping of vibrations, and the overall look and feel are basically identical here. However; those little diamond shaped knobs and blockier side knobs are game changes in regard to the capabilities of the Byway. Here is where the Byway shines. Loose, sandy dirt, where traction and stability are desired. The initial rides were all over pavement, broken up cement, chip seal, and grassy field. However; it was when I took the Byway off the beaten path that I found the big difference between this tire and the Horizon. The local farmers have begun to do their annual Springtime work which means loads of supplies, implements, and tractors are moving everywhere in the rural areas. This has served to churn up some of the dirt roads. When these dirt roads are dry, they can be really rough and where they are sandy, they can be loose and tough to navigate. Traction and stability are highly prized traits when the conditions get like that. The Byway shone on those roads, giving me much better traction. Loose gravel was a bit better than with the Horizon, but there were still those times when the Byway would get squirrely like the Horizon did. Since these tires, the Horizon and the Byway, are two of only three models of 650B tires I have tried out on gravel, I am starting to wonder if it could be the slightly smaller diameter wheel versus a 700c X 42-45mm tire that is to blame here. That said, the Byway isn’t a bad tire for loose gravel. It is just a different feel which may not be comforting for some riders. I’ll also be playing with lower air pressures to see how that works for this tire. More riding will need to be done here before I can give a verdict on this aspect of the Byway. The Byway was very good on this rough, loamy dirt road. The 47mm width helped float the bike right through. So Far………The claims of a “60/40” dirt to road ratio by WTB seems about right so far. On pavement the Byway is super smooth. With the dirt being loose and somewhat muddy here of late, the Byway showed me a better experience than the Horizon did. 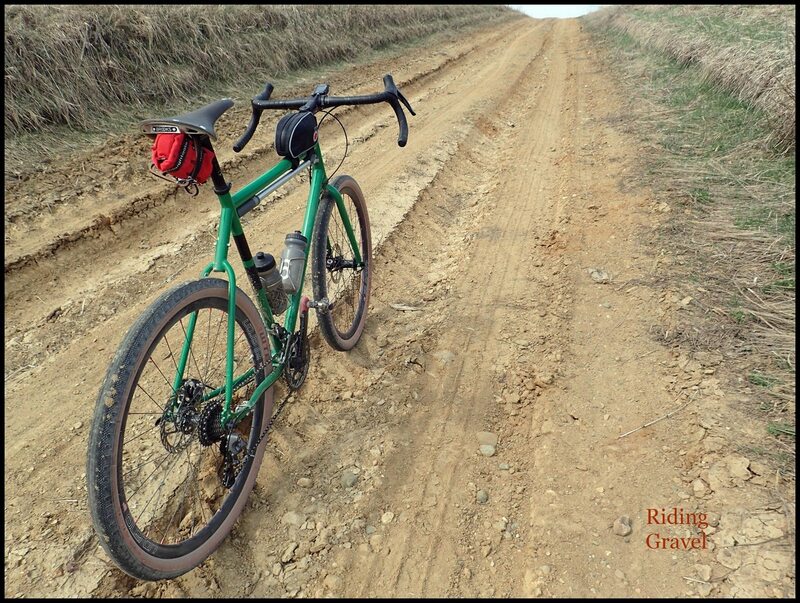 The knobs and diamond shaped tread on the Byway lend just enough traction to pull you through on dirt and mud, but this isn’t a mountain bike tire. You get less rolling resistance everywhere with the Byway versus a mtb tire, but if you are thinking “aggressive single track”, you should look elsewhere. The width is spot on and the tubeless performance has been okay so far. I will be riding these across more gravel and paved surfaces in the next weeks and I will be back with the Checkpoint update soon. Note- WTB sent over the Byway at no charge for test and review to RidingGravel.com. We have not been paid nor bribed for this review. We will strive to give our honest thoughts and opinions throughout. @Paul- This is the same casing as the Horizon, and it does not have any armoring or additional protection at all. So, depending on how wide the rim you mount it on is, that could be an issue for you. What do you think the best rim width would be for these tires? @Andy- I used them on Velocity Ailerons which are 20mm internal width. I think that’s pretty narrow, and an internal width of 22mm-25mm would be an ideal range. Thank you Ted for the quick reply. Thank you for this website/blog too. Follow up: I am looking at Surly’s Midnight Special, and it appears to come with 19mm Alex Rims. That said, if you could have one rim width for both the Byways and something like a 2.1 Nano, what would work best you think? @Andy- Yeah, I’d still go with a 25mm inner width. That’s a good place for any tire from 40mm-52mm wide, in my opinion. Thank you for the feedback. I went with Stans Crest MK3, 23mm internal, and a set of the Byways. Seem to be a solid choice. Thanks for the info. Trying to decide between the 2018 Grit 440 and the 2016 CX 500, in recent years i have spent the vast majority of my time on mtn. single track but am looking for a bike that will handle dirt roads as well as pavement about 50/50….can you provide any guidance?